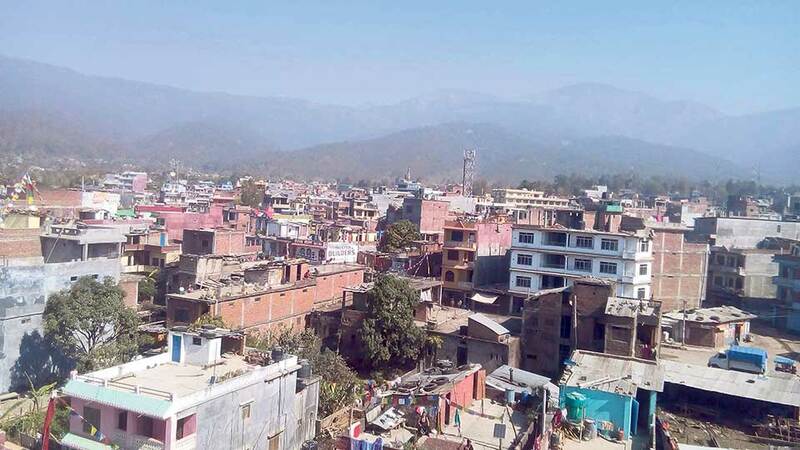 KATHMANDU, Jan 24: After the government six days ago declared several towns as capitals of the provinces, land prices in those capitals have skyrocketed within a short period of time. Surkhet, Dhangadhi and Janakpur among other towns have seen up to four-fold rise in the prices of land. As there would be excessive migration into the capitals, stakeholders are worried because they do not have proper mechanism to manage this kind of phenomena. Dhangadhi, which was already one of the biggest trading hubs in the country, is now seeing a new wave of land price hike after the city was declared the capital of Province 7. “About two months ago, one kattha [3645 sq ft] of land at Dhangadhi’s Boradadi had a price tag of Rs 1.6 million. But when I tried to negotiate the other day, they told me that they had increased the price to Rs 2.5 million,” said Kishor Joshi, a local youth entrepreneur. “In some places, owners are reluctant to sell lands for which they already reached deals about two months ago,” he added. According to the locals, prices of land have gone up in all nooks and crannies of Dhangadhi Sub-metropolitan City. However, the number of land transactions is still lower than expected. Observers said land owners are in a ‘wait and see’ mode hoping that the land prices will go up further. Not just the land prices, stakeholders are already seeing sudden surge in migration in Dhangadhi and other areas of Kailali district. They are worried that both the increase in land prices and migration will go out of control. “Uncontrolled rise in land prices and migration in the district is inevitable now that the government declared Dhangadhi as the provincial capital. To minimize its adverse impacts, the government should immediately ensure balance in policies,” said Shankar Bogati, chairman of Kailali chapter of Confederation of Nepalese Industries (CNI). Similar impacts have been observed in Surkhet, the capital of Province 6. Local landowners have already started reaping the benefits from high land prices. Although there have been disputes over the location of the provincial capital in other provinces, no such protest has been observed in Province 6. This has ensured Surkhet as indisputable provincial capital, which contributed to the increase in land transactions. The famed Janakpur town, which has been declared as the temporary provincial capital of Province 2 is also seeing a rush of entrepreneurs setting up shops and businesses in the town. Locals are bracing themselves for a surge in land buyers. According to Lalit Sah, the president of Janakpur chapter of the Federation of Nepalese Chambers of Commerce and Industry, more people are migrating to Janakpur from rural districts of the province in recent days to set up businesses. “Movement of people has increased in Janakpur, which was already renowned before it was named the provincial capital. This has obviously encouraged people to migrate here and open their ventures,” said Sah. Land owners and dealers are largely reaping the benefits. According to him, land transactions have also surged in recent days especially after Janakpur was named the provincial capital. “People from Mahottari to Siraha districts have been enquiring to buy land here. Land prices have gone up as well,” he added.